Q: Jen – you have a very interesting story. You and a friend were shopping for facelifts. Jen – Yes – with another doctor, I made an appointment to get a facelift – with a friend. We were quoted a price way up there. That turned me off. I was then told about Dr. Whitehead and the Silhouette Lift. Q: So, you didn’t go for the more expensive facelift? Jen: That’s correct. After seeing what Silhouette could do – and the price was certainly right – I went to Dr. Whitehead. Jen: Although she told me about Dr. Whitehead – she went for the more expensive, longer lift. With – the other doctor. Q: Interesting story. So, here you are – friends. You have yours. She has hers. Jen: And, she paid over 4X the money – and her recovery was not good. It took weeks for her to get going again. Q: And – what were your results? Jen: Fantastic. As much as the results were great, my recovery was far different than my friend’s. I was back to work in no time. Q: – How about your friend’s results. Jen: She looks good – no doubt, but honestly – I got way more bang for my buck. I can kid about it now, but at the time, she was mad. And, in her recovery: she got sick/nauseated. Q: She did a longer facelift –one that takes a few hours at least. Jen – That’s right. One other thing: I never told my husband I was doing this. He would have been against it. When I came home, he was in shock. But, I knew when he saw the results, he would change his mind. And, he did. Q: What did other folks say? Jen – I went on a trip and friends swore I had a facelift, but really didn’t know. I had lots of compliments. Q: How long had you been thinking of this? Jen – A few years. I was in and out and – it really helped that I had a friend who wanted to do something too. Q: – And, to look at you now, how many years did Silhouette shave off you? Jen: Easily five – but that’s hard to say – because – I had sagging skin for a long time. So, I’m being conservative. Q: Jen – thanks for your time today. Dr. Whitehead has a special offer on the Silhouette Lift. Feeling like you need one? It’s an amazing procedure and takes little time. Call Dr. Whitehead or fill-out the quick form. Silhouette Lift. 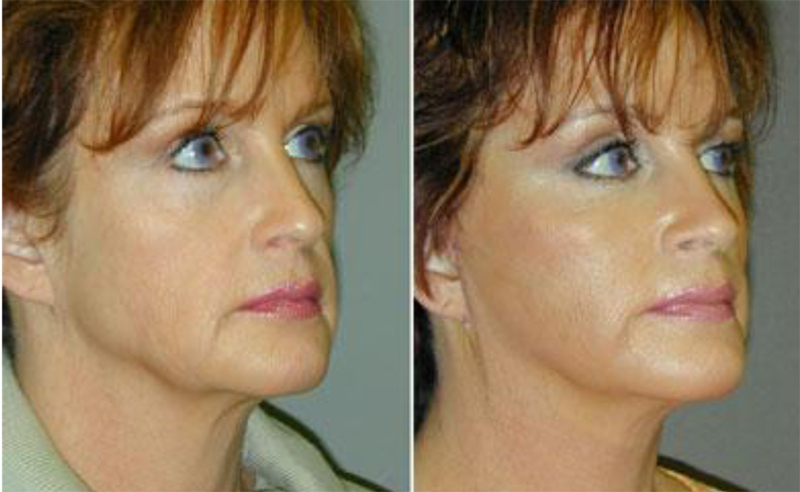 This entry was posted on July 10, 2013, in silhouette lift and tagged facelift cb secrets, facelift dr stacey whitehead. Bookmark the permalink. ← STOP CELLULITE fast with resolutionMD from CB Skin Secrets!